The vehicles being provided by you should be clean, pleasantly upholstered and in excellent running condition, with Yellow Taxi Number Plate. Driver should hold valid driving License & well dressed. Driver must be provided with sufficient cash to deal with any exigencies. The same will be reimbursed through bill payments. The user shall not be asked to pay any toll taxes, driver allowances, parking charges, etc. Drivers will have mobile phones for communication. We have a highly dedicated team of professionals, who are committed to provide you with the best of services. 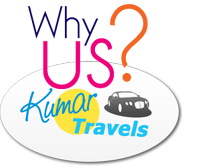 All our chauffeurs have been specifically trained to deal with the diverse needs of domestic as well as foreign tourists. Our drivers are not just drivers - they are educated, courteous and responsible, whom you can rely upon. 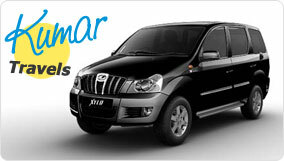 Hire a car with one of our friendly and trained drivers, leave all your worries behind and enjoy your trips. We provide our rental services on the basis of the requirements and preferences of our clients. With qualitative vehicles, we also provide trained and experienced drivers to clients. Our vehicles are maintained in good condition and can cover long distances without any mechanical problem on the way. In addition, our drivers are well acquainted with the places and can help the clients to find the places easily. We strive to meet all the requirements of our clients that are essential in a trip. This is possible due to our experienced and trained team who assist us in delivering the services sincerely and dedicatedly. This has helped us to make prestigious clients from world over including corporate personnel, tourists, airport passengers and others.